Come join us and explore the future of AI computing in engaging, informative tech talks with experts who are creating new realities with AI. Bio: John Storms is the director of Compiler Verification for NVIDIA. John has been with NVIDIAs compiler team for over 10 years where he has participated in delivering a world-class compiler for NVIDIA GPUs ensuring both functionality and performance for compute and graphics. Currently, Johns team is focused on verifying high-performance machine learning solutions and delivering a safety qualified compiler for use in autonomous vehicle development. 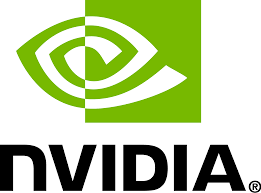 NVIDIA has continuously reinvented itself over two decades. Our invention of the GPU in 1999 sparked the growth of the PC gaming market, redefined modern computer graphics, and revolutionized parallel computing. More recently, GPU computing ignited the era of AI. NVIDIA is a learning machine that constantly evolves by adapting to new opportunities that are hard to solve, that only we can tackle, and that matter to the world. Our lifes work is to amplify human imagination and intelligence. Make the choice to join us today. One lucky winner will even walk away with an NVIDIA product! Snacks and refreshments will be provided!